RICS regulated chartered surveyors, David T. Ward and John Howard, combined their extensive knowledge and invaluable skills in 1996 to create Ward Howard Chartered Surveyors. As a team, Ward Howard Chartered Surveyors have over 30 years’ experience of delivering a professional, first-class chartered property surveying service around the Cambridge area. Previous clients for us have varied from banks, local businesses, colleges of Cambridge University, charities and property, therefore we have a combined variety of skills and experience across the industry. We have surveyed properties ranging from historic Medieval buildings to new structures. At Ward Howard Chartered Surveyors, we are proud to offer a RICS Building Survey and a RICS HomeBuyer Report. 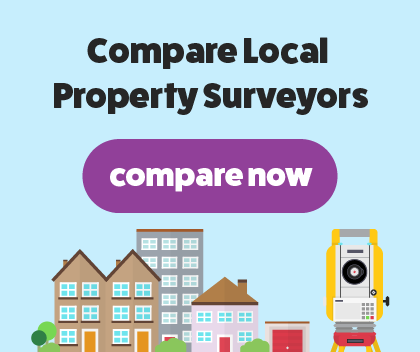 When you compare surveyors, we will always come out on top. Just told us what we already knew and didn't pick up the main issue which was that the property did not have building regulations on the extensions built. Our RICS verified home buyers report will include a thorough and clear inspection, report and valuation. Typically, this type of survey will be better suited for property that hasn’t undergone any sort of work and remains in good condition. Traditional flats, bungalows and houses will require a homebuyer Report. Many people underestimate the importance of a property survey and often end up regretting not hiring a chartered surveyor after purchasing their house. Ward Howard Chartered Surveyors will highlight any issues that may be hidden and not so obvious in a clear and easy to read report. Our homebuyer report will highlight issues such as damp, subsidence, rot or infestations that may not be noticeable to you. We will then rate your property with a 1, 2 or 3 with 1 meaning there’s no issues and 3 being serious issues needing fixed. Our RICS Building Survey is designed for unique, older properties built before 1880 that have either been constructed in an unusual way, plan to undergo reconstruction or have already had extensive work done. This survey will be able to tell about the construction of your property and the materials used and the condition of your damp-proofing, insulation and damage. At Ward Howard Chartered Surveyors, we can tailor your building survey around the specific requirements of your unique property. We only work with RICS regulated chartered surveyors, so we can guarantee a friendly, professional and concise service.